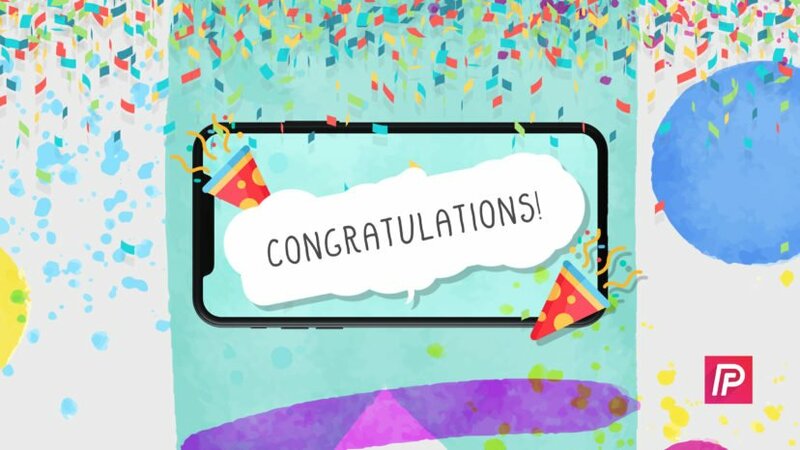 I Keep Seeing A "Congratulations" Pop-up On My iPhone! Here's The Fix. You are at:Home»iPhone»I Keep Seeing A “Congratulations” Pop-up On My iPhone! The Fix. You were browsing the web on your iPhone when a strange pop-up appeared. It says that you’ve won an amazing prize and all you have to do is claim it. 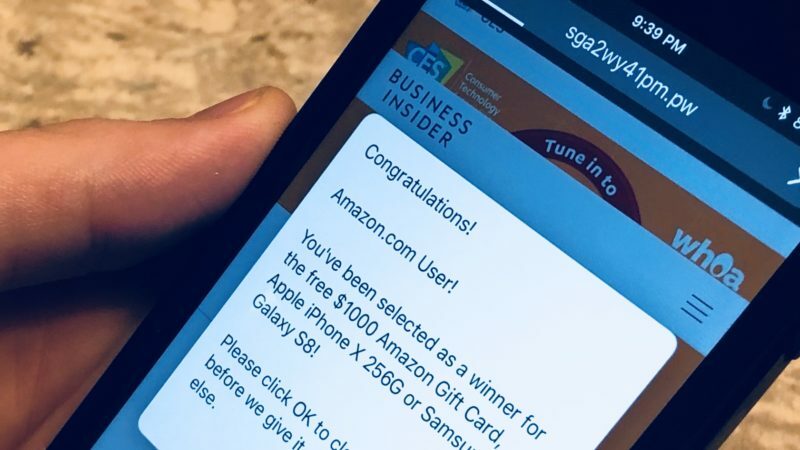 In this article, I’ll explain what to do when you see a “Congratulations” pop-up on your iPhone and show you how to report this scam to Apple. Well, that’s because it is. Unfortunately, you haven’t won anything — sorry to burst your bubble. This pop-up is nothing more than another desperate attempt by scammers to steal your private information. The steps below will show you how to keep your personal information safe and protected after you’ve seen the “Congratulations” pop-up on your iPhone. When you encounter a pop-up like this, or the classic “virus detected on iPhone”, immediately close out of Safari. Don’t tap the pop-up or try to close out of it. More often than not, the X in the corner of the pop-up will just launch another ad. 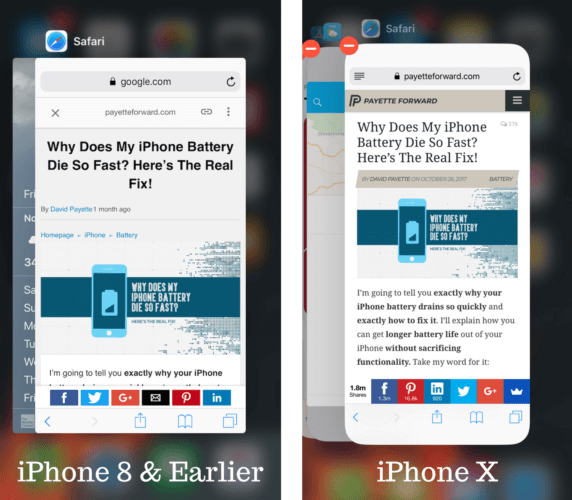 To close out of your web browsing app on an iPhone 8 or earlier, double-click the Home button to open up the app switcher. Then, swipe the app up and off the screen. You’ll know your web browsing app is closed when it doesn’t appear in the app switcher. Drag your finger up from the very bottom of the screen until the app switcher opens. Then, press and hold on the picture of the app until you see a red minus button in the upper left-hand corner of the picture. Then, either swipe the app up and off the top of the screen, or tap the red minus button to close the app. Read our complete guide on clearing browser history in both Safari and Chrome to fully eliminate any potential security risks from the “Congratulations” pop-up on your iPhone. Now that you’ve sorted out the issue on your iPhone, I recommend taking it a step further and reporting this scam to Apple. Not only will reporting the scam help out other iPhone users, but it’ll also protect your information if it did get stolen. Congratulations! Your iPhone Is Fixed. Although you didn’t win anything, you definitely won’t be losing anything important like your personal information. 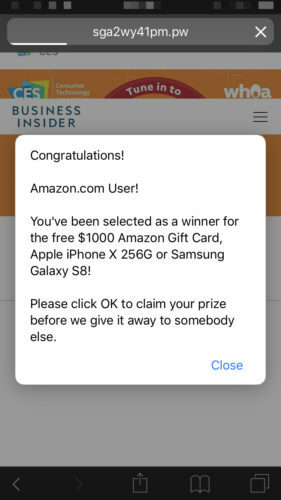 Lots of people have been running into these “Congratulations” pop-ups on their iPhone, so I hope you’ll share this article with them on social media. If you have any other questions, leave them in the comments section below! Previous ArticleiPhone X Side Button Not Working? Here’s The Real Fix! Next Article iPhone Status Bar Missing? Here’s Why & The Fix!